1) Check if the self-priming pump tubing and junction is loose. Turn the pump by hand or tool, then to observe if the sewage pump is flexible. 2) Try to control the inner self-priming pump flow and head on the plate indicated range to ensure self-priming pump at maximum efficiency point operation. Transfer to achieve maximum energy savings. 3) When self-priming pump is in operation, the bearing temperature can not exceed the ambient temperature of 35C, and the maximum temperature can not exceed 80C. 4) If the priming pump is found with abnormal sound, you should stop immediately to check the reason. 5) When you want to stop using sewage pump, turn off the valve, pressure gauge first, and then stop the motor. 6) When self-priming sewage pump is in a long time using or used in the winter, after stopping, need to unscrew the lower part of the pump drain plug, The media put the net. Prevent cracking. 7) Carefully listen if the sound operation of the motor is abnormal, because the runtime engine room noisy, by means of a screwdriver or listen rods and other aids, posted pro motor ends listen, if you often listen to, not only find bad vibration motor and drag devices, can even determine how much oil inside the bearing, thus adding timely bearing oil, or replaced with new bearings and other appropriate measures to deal with, to avoid motor bearing short of oil and dry grinding stall, walk cylindrical, sweep chamber burned. The use of submersible mixer improve the pollutant drainage efficiency! 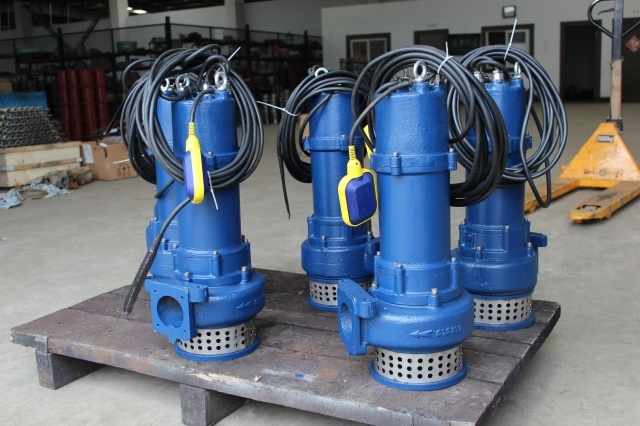 What situations should stop using the submersible pump immediately?